I just finished building this!! I put some transplants in the top, then some bare root strawberries on the sides. 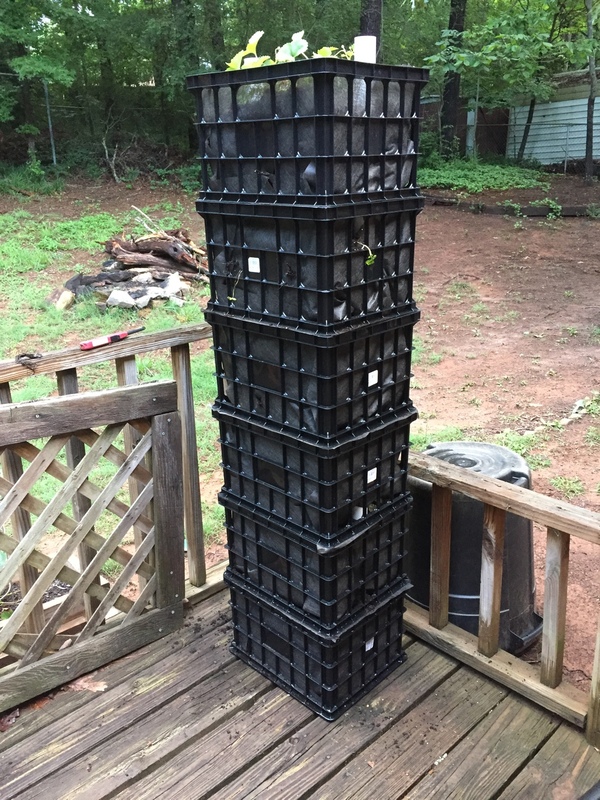 I also have another strawberry plant in a raised bed that I'll use to get runners and plant those in the tower. Oh wow! I love that idea! Looking forward to se how it grows! Is that a watering pipe on the top? I have a PVC pipe going down both sides. I'll post updated pictures soon. I actually took this apart and made it into two smaller towers. It's much easier to care for the plants at the top that way. I have bare root strawberries planted in the sides, but none of them have come out of dormancy yet. I have my strawberries in a regular Raised Bed, but I'm not a 100% satisfied with that. It makes a good slug hideout, and the slugs also munch on my strawberries. I'm thinking about doing some kind of vertical solution for next season, but not sure what type yet. Here's the current setup after I divided up my large tower into two smaller towers. I have a PVC pipe going down the two sides. I'll post refreshed pictures soon. I really dismantled this and made it into two littler towers. It's considerably less demanding to administer to the plants at the best that way. I have uncovered root strawberries planted in the sides, yet none of them have left torpidity yet.